Discussion in 'Chainsaws' started by brandonstc6, Feb 10, 2019. 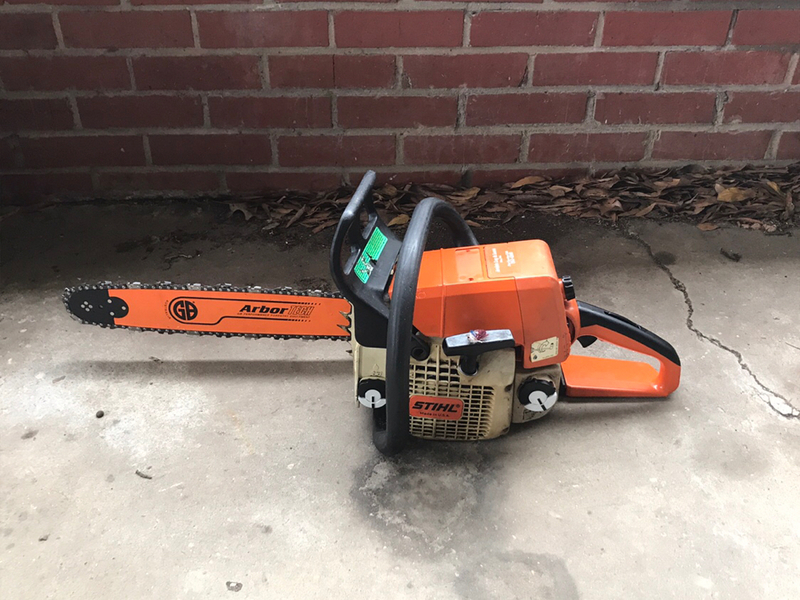 Stihl 025 chainsaw $150 plus shipping. Has engine housing and ignition coil from late model MS210. I haven’t cut much wood with the saw but it starts easy and runs well. It oils well too. Has one small crack in clutch cover. Great saws and a good price! What size bar is on it? Would you sell it without the bar and chain? What would be the shipping to 138 old tower Rd Summerville SC 29483? Hey I'M interested in the saw call me. Hey, I want the saw,bar and chain if you still have it.